Why See Band Of Horses? 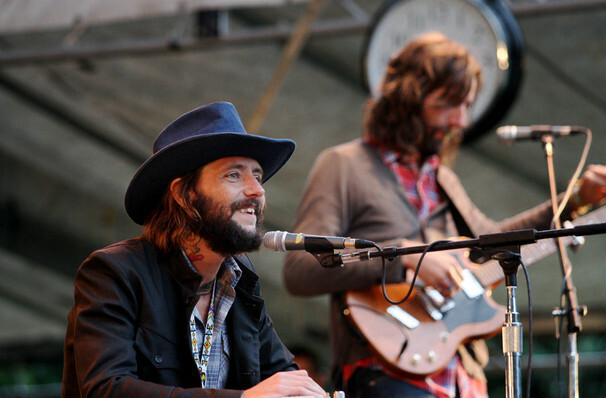 Led by Ben Bridwell, Band of Horses do anthemic, wistful American indie better than anyone. Drenched in reverb and glittering guitar tones, they trade in vulnerability while still playing songs bursting with hooks and fist-pumping choruses. 2016 saw the release of the fifth album Why Are You OK, the band's first studio album in four years, and one that was heralded as a return to form following Mirage Rock, which some critics viewed as leaning too heavily into radio-friendly territory. Catch band of Horses live, and get ready to be swept away in the heady tide of tracks like 'The Funeral', 'Weed Party', 'Knock Knock' and many more, alongside loads of new cuts and old favorites. Sound good to you? 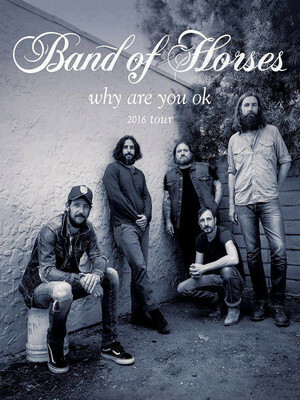 Share this page on social media and let your friends know about Band Of Horses at Union Event Center. Please note: The term Union Event Center and/or Band Of Horses as well as all associated graphics, logos, and/or other trademarks, tradenames or copyrights are the property of the Union Event Center and/or Band Of Horses and are used herein for factual descriptive purposes only. We are in no way associated with or authorized by the Union Event Center and/or Band Of Horses and neither that entity nor any of its affiliates have licensed or endorsed us to sell tickets, goods and or services in conjunction with their events.